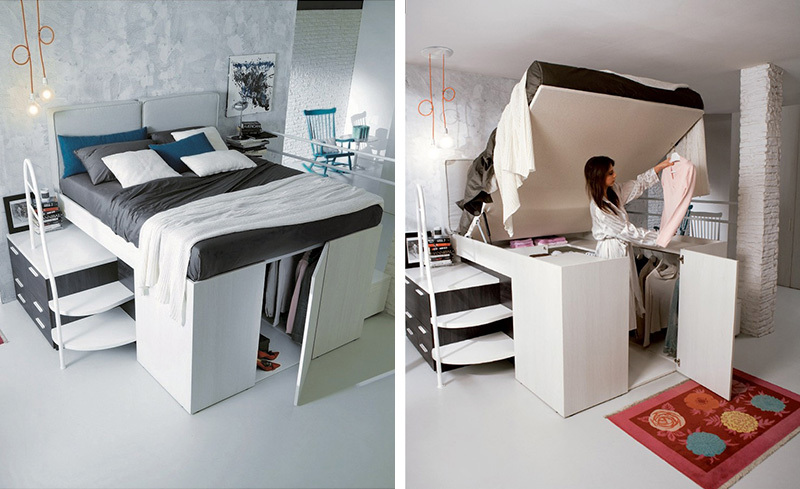 Italian furniture manufacturer Dielle, have created what they call a ‘Container Bed’, which is a normal bed that has been raised to include storage underneath. 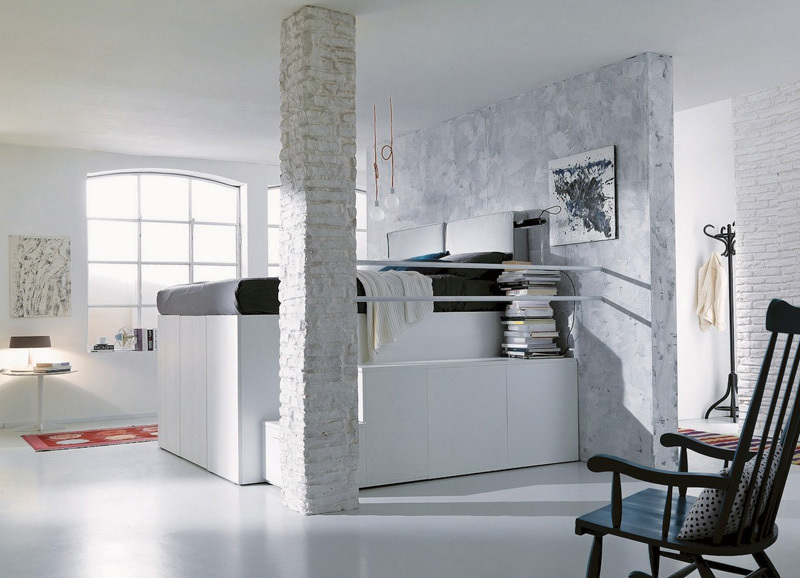 It’s a solution designed for small apartments that often don’t have enough storage space. 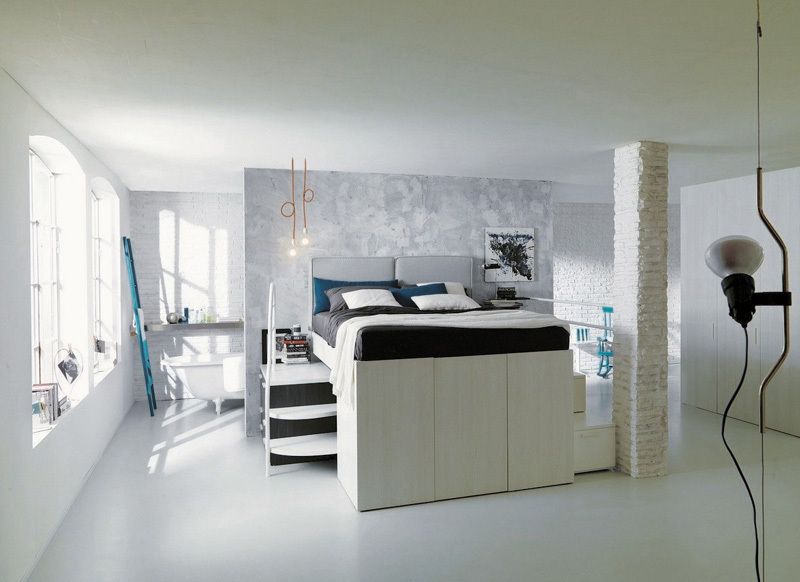 With the design being modular, you can add on stairs and additional closet space around the bed. 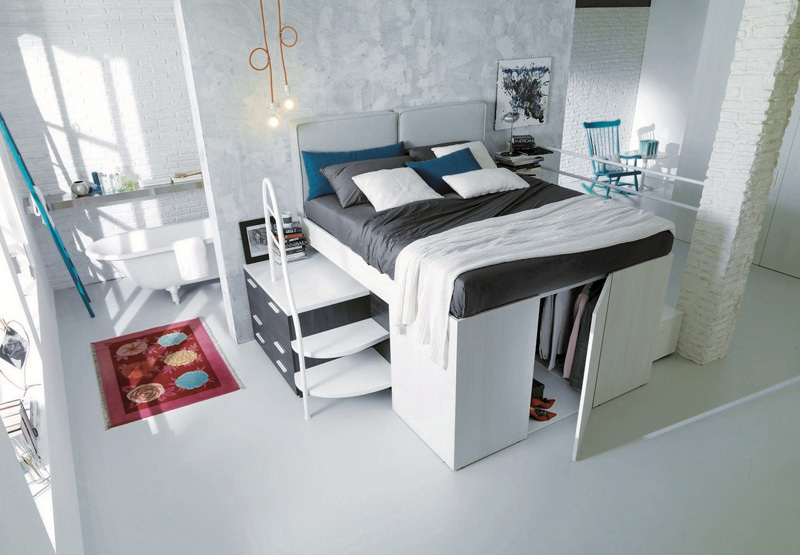 A small door allows you access to your items without having to lift the bed up. Or you can raise the bed to give you full access to the closet underneath. 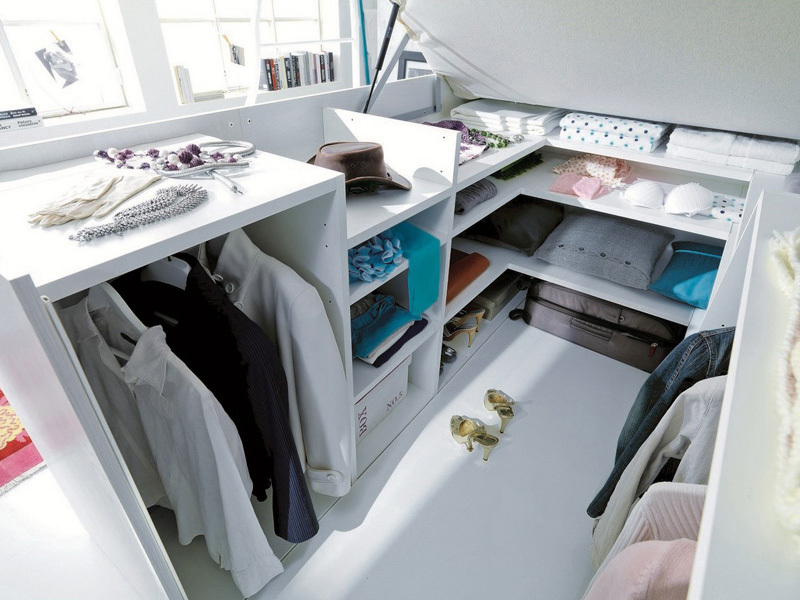 All of the shelving in the closet can be customized to suit whatever is being stored.